On the third floor of the Aids Council of NSW building, Nick Kent fiddles with a projector. He is on the frontline of pill testing advocacy in NSW and in search of the perfect frame for his PowerPoint presentation. A number of fresh-faced 20-somethings make their way into the forum, eager to brainstorm what political action to take to bring about drug law reform. The president of Students for Sensible Drug Policy, Nick is a slender young man with thin, strawberry blonde hair tied back in a bun to reveal his sharp blue eyes. Seated on a table next to the projector, wearing a maroon sloppy joe and blue denim jeans rolled up to the ankle, he has one leg on the table and one on the floor. His brown leather Roman sandals are unbuckled. The forum is part of the Be Heard, Not Harmed campaign, launched by Students for Sensible Drug Policy and another advocacy group Dancewize in January. The campaign is a youth-driven response to what some see as the moral panic surrounding five drug-related deaths that have occurred at NSW music festivals since September. The Berejiklian government responded last month, introducing new legislation that will make licences more expensive for festivals deemed to be “high risk”. As of March 1, festival organisers must apply for a licence similar to that of a pub or club, where factors like their size and track record with drug and alcohol-related incidents are weighted into the decision. On top of that, festivals now require approval from a panel including NSW Health, NSW Police, NSW Ambulance, and Liquor & Gaming NSW. Festival organisers, music fans and musicians have warned that the crackdown will “kill live music”. Immediately after the new law was announced, two music festivals, Mountain Sounds and Psyfari, were cancelled. Organisers said the cancellations were a direct result of the government’s “war on festivals”. It was at Psyfari in 2015 that Daisy, a 24-year-old student, used pill-testing kits bought over the counter at a tobacconist in Newtown, in Sydney’s inner-west. She talks about it as we laze in the sunny living room of her share house in nearby Marrickville. Meanwhile, the house cat slinks between the legs of her second-hand dining table and climbs atop the old armchairs. Daisy’s reason for testing the pills which her group intended to take was to ensure their designated driver could make the three-hour trip home safely. She admits to using recreational drugs like MDMA, monthly, saying they are cheaper than alcohol and can make a night out more memorable, as the effects of MDMA make it easier to have sensitive and raw conversations. “I won’t drink as much if I’ve taken a cap, I’ll have maybe four drinks. If that’s the case, it’s a way cheaper evening out. “It feels like more of a journey and I’ve put in a lot more quality time with my friends. 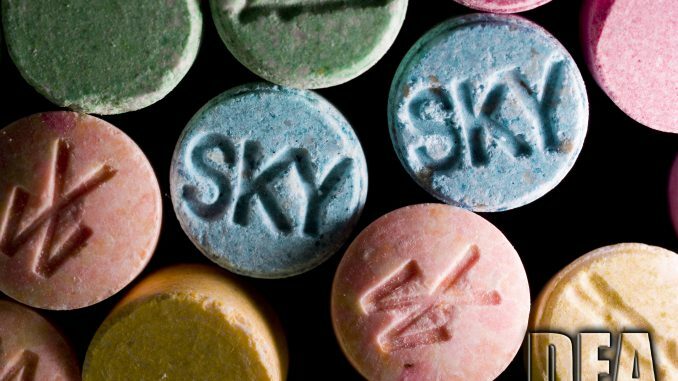 Pill-testing kits bought over the counter have a narrower field of vision than the technology used to test at large-scale festivals outside Australia. Since the former can only test for a specific substance, they cannot tell the user if there is a potentially dangerous chemical in the pill. Festival testing uses a method called infrared spectroscopy, where a tiny fragment of a millimetre or less has an infrared beam shone through it. It can quickly identify different compounds. While politicians in NSW have refused to countenance pill testing at festivals, the UK was considered late to the game by US and European standards when it introduced pill testing trials at music festivals in 2016. A non-profit organisation, The Loop, provided the service at festivals, where a 100-metre “tolerance zone” was set up by police. Within half an hour, punters received their results and sat down with a staffer for a 15-minute discussion about the results, the risks and how to reduce harm. The Loop analysed 2,000 samples over two years and reported that eight out of 10 samples contained what they were supposed to. In the two cases which yielded unexpected results, roughly one to two people chose to surrender their drugs. In the eight cases that yielded expected results, roughly four people said they would consume a smaller dosage. The only pill testing trial to occur in Australia used similar methods. It took place in 2018 at the Groovin’ The Moo festival in Canberra, and came after a number of synthetic psychoactive substances were introduced into the drug market over the previous decade. Nearly half (42 per cent) of the participants said they would alter their behaviour to reduce harm, and of those, 18 per cent said they would not use the drug at all. A PhD candidate at the University of Melbourne, Penny Hill worked on that trial, providing brief interventions with punters based on their results. She’s based in Melbourne, so we spoke over the phone during her lunch break, with the white noise of city traffic audible in the background. The wind wrapped around her microphone, making our conversation disjointed at times. “I personally advocate for fixed site testing [a permanent lab to which people can send samples] more than on-site [festival] testing,” says Penny, who works for the Centre for Research Excellence into Injecting Drug Use (CREIDU) and the National Naloxone Reference Group (NNRG). Penelope is doing her PhD on opioid overdoses and has spent a lot of time researching the injecting community in Melbourne. She believes fixed site testing is more accessible, allowing less well-off users to access the service without spending money on a festival ticket. Back at the forum, Nick’s lecture emphasises that there is a distinct absence of young people’s voices in the pill testing conversation. Nick, who has conducted research in drug and health education while working in both the secondary education system and harm reduction service provision, reflects on the frustration he felt when news broke of the first drug-related death last summer at Defqon. Aware that the ensuing dialogue would focus on prohibition and increased oversight from authorities, he longs for a new approach.